Once a thriving restaurant chain in Minnesota and neighboring states, the Happy Chef was born in 1962 in Mankato, MN. 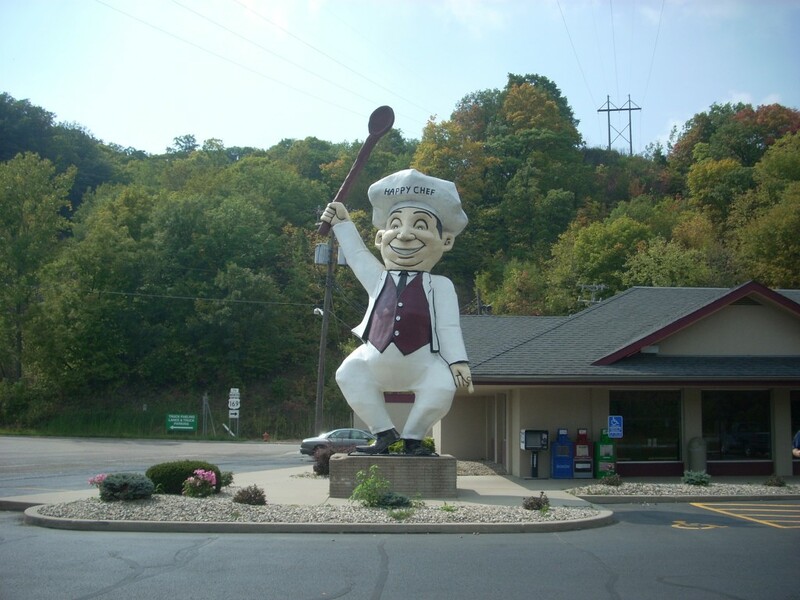 At its peak, there were 56 of these eateries mostly in Minnesota and 6 other states, and most of them featured the eponymous Happy Chef perched right outside. Many of these iconic statues even had a voicebox that would spout off greetings at the push of a button located on the base of the structure. Akeley, Minnesota, pop. 432, claims to be the birthplace of mythical folk hero Paul Bunyan. 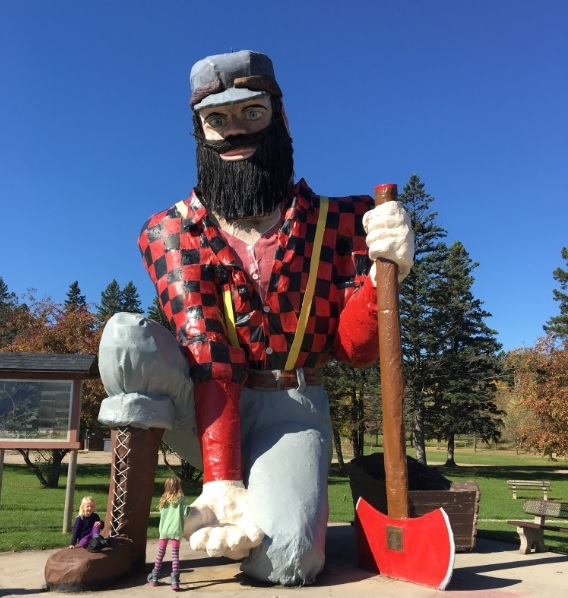 There aren’t many who don’t know the tales of the giant northwoods lumberjack, and there are statues of Paul in almost every state in the US. Plenty of other towns and states claim to be his home, but Akeley has the crib too, parked right behind the giant kneeling statue of the big guy. His outstretched hand is the perfect photo opportunity and there is a small park located here too. Paul is about 30 feet tall kneeling, and over 40′ if he was afoot. Also behind the statue is the Paul Bunyan Historical Museum, which documents the history of the area. Akeley once was home to the largest sawmill in the state and had a population of over 3,000 in the early 1900’s. Now it sits as a touristy small town between Park Rapids and Walker. While in the area: Akeley is located on the Lakes Country Scenic Byway, which spans through Minnesota’s lakes and pines, and through the Chippewa National Forest. 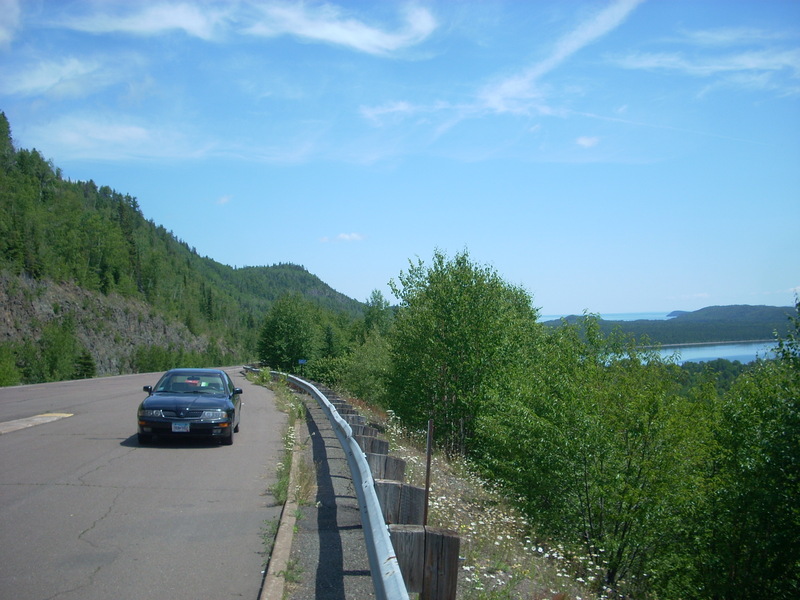 It also sits on the Crow Wing chain of lakes, so there is no shortage of things to do. 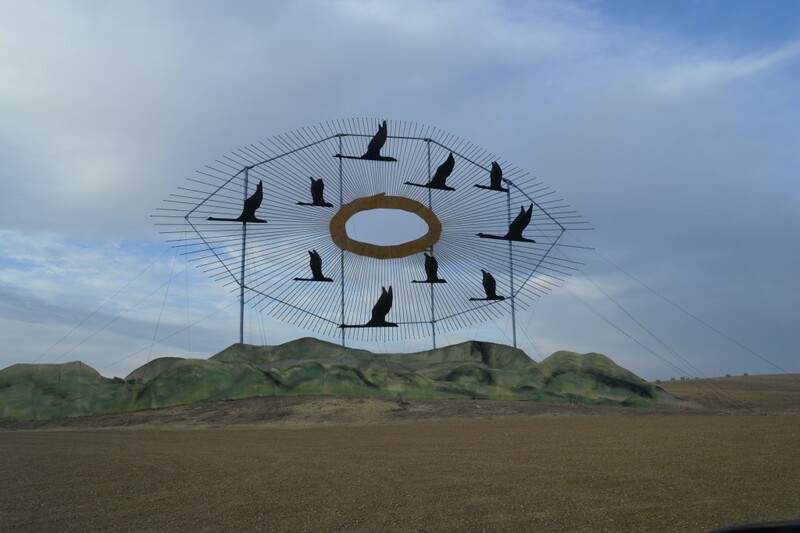 Or, jump on your bike and cruise down the Heartland Trail.